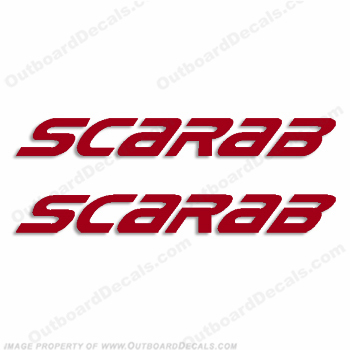 Scarab Wellcraft Boats Logo Decals - Any Color! - Reproduction Decal Kit. 1-Color Design.